If vegetables are your favorite meals, then you must also love lettuce. While most people are familiar with the green ones, there are actually many other types of lettuce. Based on their shapes, sizes, and colors, you get to know them one by one here. Perhaps you may have already tasted some of them. Of course, when it comes to lettuce varieties, you must also pay attention. Some of them may work for certain types of foods or vegetables. Others may not. Let’s have a look at each of them. Tender and sweet, this lettuce does not only have a delicate flavor. It is perfect for all kinds of salads. 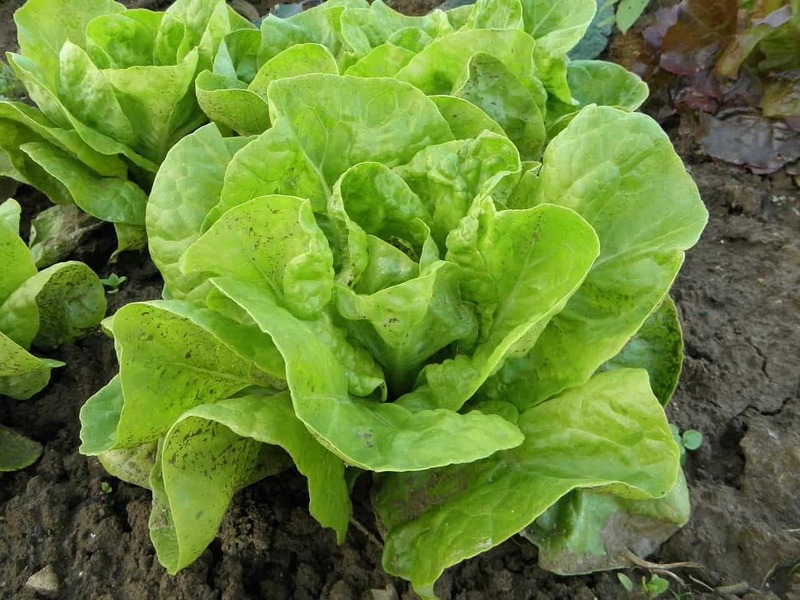 This is the most-commonly known lettuce of all varieties. Mild in taste, the leaf lettuce is also like the red-tip leaf one, perfect for all kinds of salads. There are two types of leaf lettuce here based on their color: green leaf lettuce and red leaf lettuce. Both can be mixed with all kinds of salads, although red leaf lettuce has some burgundy-colored part at the top. Since both wilt easily, only dress them when you are about to serve the dishes. Another type of this is the oak leaf lettuce. Just like the other two, there is no need to look for the head of lettuce. Branching from the stalk, the leaves have a much darker shade at their ends. You can also use them for salads and only dress them when you serve the dishes. They also wilt easily. For those who are only familiar with the green leaf lettuce, they may miss this one. This purple lettuce is bitter and peppery. Try mix this with other greens to camouflage its original flavor. Who says spinach is not one of the types of lettuce? Whether used raw in salads or as Indonesian vegetable soup called ‘sayur bayam’, this one has a mild, hearty flavor. At a quick glance from afar, you might mistake this one for the red-tip leaf lettuce. The difference is the redness in the stems while the leaves are green. While the stems taste more like celery, the leaves taste mild and heartily like spinach. The romaine lettuce is large, with rather crisp leaves and a sharp flavor. This is the classic type that only works for Caesar salad. The name suits its overall appearance. Green at the edges with pale yellow stems, this lettuce is often used only as a decoration for your salad menu. When you decide to eat it too, you can taste its mildly bitter flavor. From the appearance, not many might know that this is also one of the types of lettuce. Arugula also tastes rather peppery, with a slightly pungent flavor. When used as a decoration for your salad menu, it makes a nice contrast to the milder green ones. Are they the only lettuce varieties you should know? There are still many more out there. Although salad is the most common menu that needs them, you can actually add lettuce inside your sandwiches. Yes, this lettuce will get cold when you put it into the freezer. However, that is not the real reason for the name. When you leave them in a plastic bag and in the fridge for a couple of weeks, they are still good to taste and safe to eat. Choose the firm, densely-packed head. They are quite heavy despite the size. By cutting them into wedges, you can serve them as part of the classic steakhouse. Do not forget to drizzle them with blue cheese dressing. They are small, round, and with loosely-formed heads and fragile leaves. No wonder they bruise easily. Almost an identical twin to Bibb Lettuce, this type is larger with a much fluffier head. Both Butterhead Boston and Bibb Lettuce are perfect cups for cooked and ground chicken and also shrimp. At a quick glance, this looks like the dead ringer of The Butterhead Boston Lettuce. Smaller in size than the other one, this lettuce is sweet – although rather expensive. It is two times more pricey than The Iceberg Lettuce. Some of them are so small that they come in the size of an adult human fist. Still, this one is perfect for your ground cooked shrimp and chicken. Lettuce types are really rich. After the previous list, you may (but should not) forget these other two: kale and baby spinach. Kale is actually a part of the cabbage family. Slightly bitter in taste and hearty by texture, you need to get rid of the fibrous center rib. It is rather hard to crack in your mouth. Baby spinach is slightly different from the real big one. Harvest them early before they are fully-grown. Their texture is tender, and they have a slightly sweet taste. 3. Which Ones Are The Best For Your Salads? You can choose to follow the majority or experiment on something new and unique. For example, arugula stands up to a bold salad dressing. If you prefer something sweet, choose baby spinach instead. If you are looking for special menus, perhaps you need to stick to their specific rules. For example: with Chopped Kale and Bacon Salad, you have to use kale. For Raspberry and Fig Salad, Bibb Lettuce is definitely the answer. It turns out that there are many types of lettuce. Most are green like a lot of vegetables in the world. However, that does not mean that lettuce cannot come in other colors. After all, what really matters is the taste and how much you like it.